Is there something I could substitute for the lemon juice? I have grapefruit juice and orange juice. I should probably just wait until I buy a lemon? I’m impatient, so I went ahead and used orange juice. I can’t taste it in there. I wonder if you can taste the lemon juice? Great cookie! It’s not overly sweet tasting like the recipes I usually use. I got 46 cookies using my medium cookie scoop. 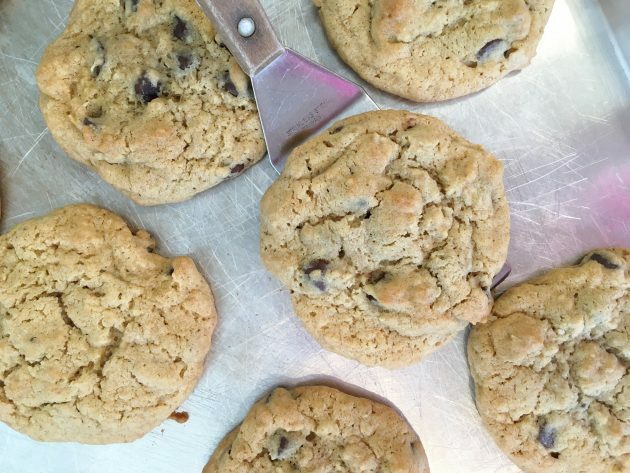 Our favorite is America’s Test Kitchen’s Chocolate Chip Cookies. You actually brown the butter in a pan, so you don’t have to remember to set your butter out to get it to room temp. They’re delicious, and they even recommend freezing them in balls for last-minute cookie cravings. These sound great, but I’m allergic to oatmeal. Any idea if there is a substitute or if I can leave it out? I would just sub whole wheat flour for the oats. Leaving it out all together would make the batter too wet. Did you take a allergy test for it? When I eat oatmeal (even gluten free) I feel dizzy or drowsy from eating it. My fav is oatmeal with raisins and walnuts. Pioneer Woman has a recipe for Oatmeal Crispies that is a close second. I’ve been looking for a good recipe that uses part whole grains. Can’t wait to try these! You can sub half whole wheat flour in chocolate chip cookies and you cannot even tell you did it. I find that they keep really well with the substitution too. 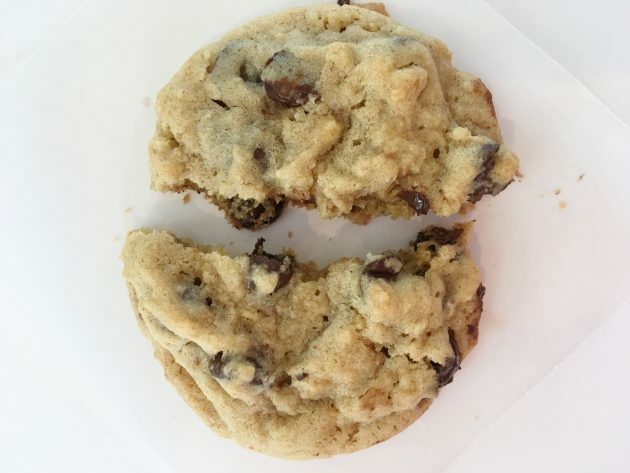 I feel I’ve spent years finding the perfect chocolate chip cookie and it’s not even this recipe! =) But you have yet to let me down, Brigette, so here’s to another excuse to bake! Thanks! Only oats and bananas and def add chocolate chips! so good! I haven’t tried these…definitely will have to check them out!! Heather, did the cinnamon taste strong?? Although I’m not Heather, I’ll answer your question. I can taste it, and I don’t think it helps the taste of the cookies. If you are in doubt, I’d leave it out. I wish I would have. Otherwise, they are great! Okay, so I’ve never seen lemon juice in a non-lemony cookie. What does the lemon juice do? I assume it doesn’t add a lemon flavor….or does it? Does it give a consistency to the texture? I’m really curious why the lemon??? I am curious about the lemon juice, too! It deosn’t add a lemon flavor at all. It contributes to the texture, making for a chewier cookie (I’ve tried leaving it out, just to see… and it DOES make a difference). I get rave reviews when I make Quaker Oats Vanishing Oatmeal Raisin cookies because I add 1/2 tsp. ground cloves and I use the jumbo raisins. They bake up golden in color and your house smells fantastic, not to mention your tummy is happy! This is a quick and delicious tea bread which I think is perfect in Spring. If you like the flavor of lemons, this recipe has real lemon presence to it. I would imagine most people have all of these ingredients on-hand. It’s a nice addition for your Easter menu, and it was one of my mom’s favorites! 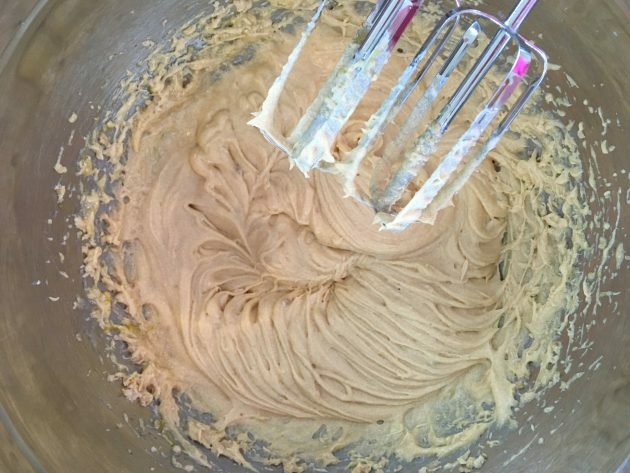 Beat softened butter at medium speed with an electric mixer until creamy. Gradually add 1 cup granulated sugar, beating until light and fluffy. Add eggs, one at a time, beating just until blended after each addition. 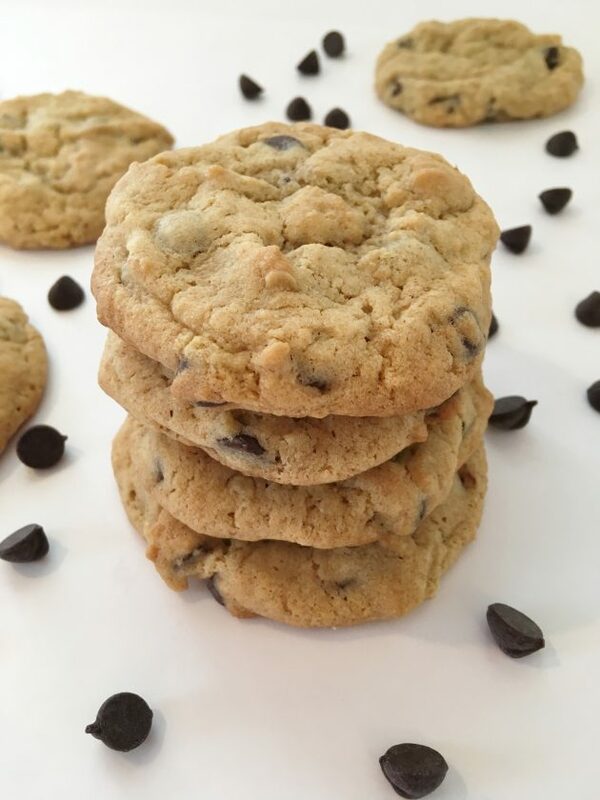 I have been baking chocolate chip cookies since I was 5 & this recipe looks amazing! I will have to try this the next time my kids and husband are begging for a sweet treat. I have never used lemon juice in my cookies before, so that might be a neat alternative. If you have any good recipes for snicker doodles I would love to see that!! I have never used lemon juice to make chocolate chip cookies! & I have been baking cookies since I was 5! I will have to try that when the kids or husband is begging for a sweet treat. The cookies in the photos above look really fluffy & light, just how I like them! Do you have any other cookie or sweet recipes? That is an interesting recipe. 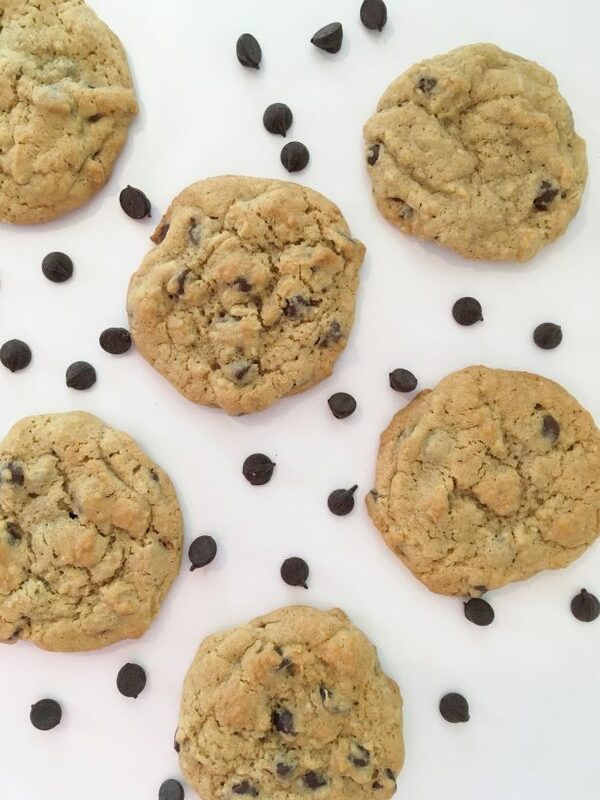 Chocolate chip are our favorites too. I have a recipe from the grandmother of my best friend from my school years. We graduated from high school almost 35 years ago. My friend’s mother always had them in the cookie jar in their kitchen. These were pretty good. 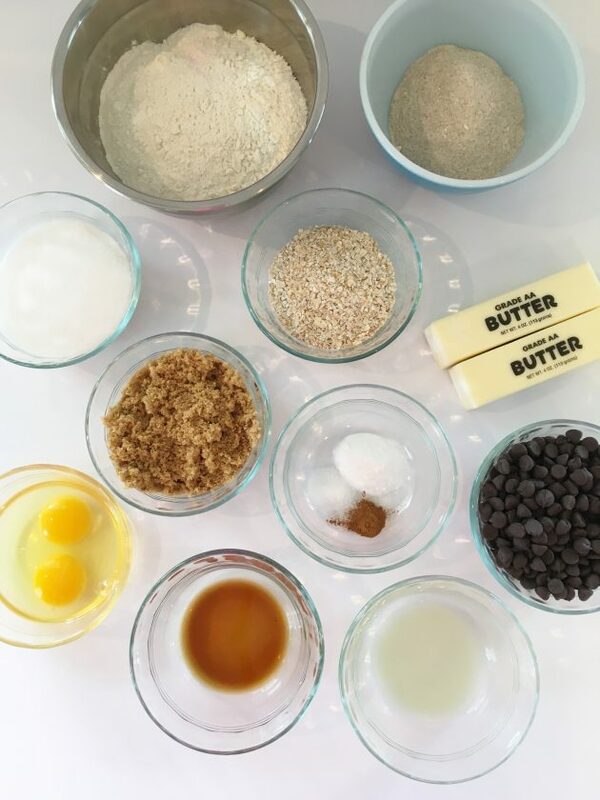 The recipe showed up on a rainy Friday… the first day of Spring Break… just the idea I needed to start off the baking. Although they were good, I almost didn’t put the cinnamon in. I like cinnamon–but not in things it’s not supposed to be in. I didn’t think it added to these cookies at all. If I make them again, I will omit the cinnamon and then I will like them even better. My daughter likes chocolate chip cookies, but not oatmeal chocolate chip cookies. These have oatmeal in, but not so much that she won’t eat them. They are a good compromise! I decided to chill the rest after I added a bit more flour – we’ll try again soon. 🙂 Love all your recipes, Brigette! Are you at high altitude? That can make cookies come out flat and dark and disappointing. You have to increase the flour some, and reduce the flour some too…at least those are the two adjustments that work best for me (I’m at a little over 6000 feet). This is REALLY good to know. I have lived alot of different places – but never lived at a high altitude, so I have no experience with adjusting recipes for that. Thanks! Good thought! I used to live at higher altitude but not anymore. 750 feet is where I’m at now 🙂 Maybe I will have to try the recipe all over again when I am without any “helpers” in case my kids distracted me a bit yesterday, ha ha! Well, that sounds completely nonsensical! It should say that you have to increase the flour some and decrease the sugar some. So sorry! Mine turned out unusually dark as well, but still yummy and not flat. Perfect, actually! 🙂 My husband came home and ate one and then went back and took 3 more. They’ve been a huge hit. I will be making them regularly. Thanks again Brigette! My mouth is watering! Can’t wait to try this recipe! Of course I have to ask, do they (or the dough) freeze well? Thanks! Yep! We freeze them cooked and uncooked, and either way works great. I do not change a bit of it and they always come out amazing. These are ALWAYS gobbled up whenever I take them somewhere. 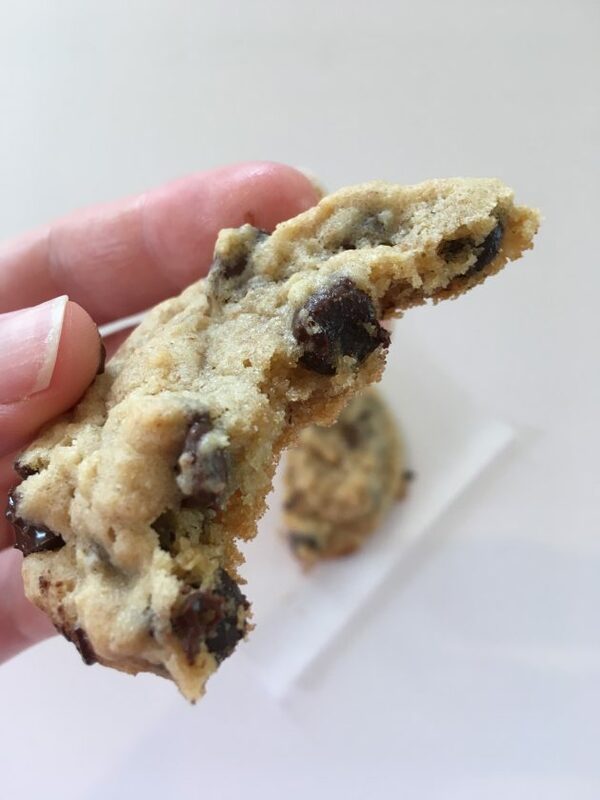 I make them with dark chocolate chips (Ghiradelli) for my husband and they are very yummy that way too. Yum! Those sound amazing – thanks for the link! I just finished making these wonderful cookies. 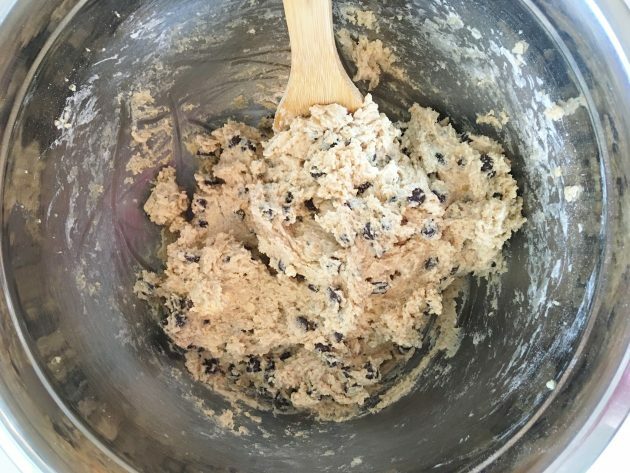 Who would have known to put lemon juice in cookie dough, but cooking/baking is a chemistry project, duh. Thanks so much for the recipe. My kids give it a two thumbs up! My favorite cookies are snickerdoodles and oatmeal scotties and oatmeal raisin. Does Brigette have a blog? I keep seeing comments about how everyone loves her recipes. Would like to get a chance to look at them too! Could I use all whole wheat flour? Trying to stay away from all-purpose. if i did use all ww would i need to add more liquid somewhere maybe? You can use all whole wheat. If you feel the batter is really dry, add a tablespoon or two of milk. Otherwise, it will work just fine. These are hands down the best chocolate chip cookies I have ever made! I made the dough last night and popped them in the oven this morning. I used mini chocolate chips in mine. I also used old fashioned oats but ground them up for a few seconds like she advised in the recipe. Amazing. lemon juice?!! I’ve never heard of that before! My friend just gave me a recipe similar to this only there is no wheat flour. it’s supposedly an imitation of the Double Tree Hotel ones that they put on your pillow. I just made them yesterday and they were really good. I am having major cookie problems! Any help would be greatly appreciated….I tried this recipe and it had a nice flavor but mine turned out flat. I am having a “flat cookie dilemma” Lately, I have tried making cookies and no matter what recipe I use, they are all flat. I can see them rising in the oven and I even take them out at their peak height and sadly I can watch them as they deflate before my eyes….I have other home responsibilities but I am becoming obsessed with overcoming this problem. I have tried cold butter, room temp butter, creaming for a short time, creaming for a long time, adding more flour, raising oven temperature and I don’t know what to do. How long do you cream for? Has anyone tried lowering/rising oven temp and has it helped. 🙁 I am so sad(jokingly) that I can’t enjoy a nice fluffy cookie. I have been using fresh ground flour and maybe that is the problem….I don’t know. I’m sorry! 🙁 Have you tried different cookie sheets? 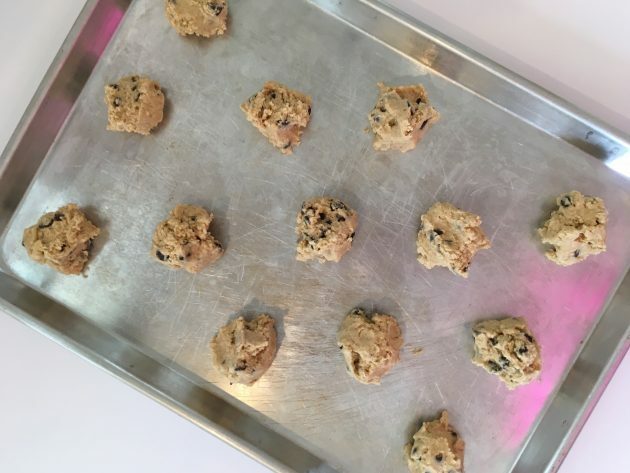 I know from personal experience that the exact same cookie dough baked at the same time and temp on different types of sheets can turn out VERY differently. Did your cookie recipes used to turn out fluffy in the same oven and on the same sheets? If you are using all whole wheat flour, a general rule is to lower the baking temp by 25 degrees. It sounds like you’ve tried some of the other things I would have thought to do. I really hope you can figure it out! Try subbing freshly grated nutmeg for the cinnamon! Has to be freshly grated though! Try it in banana bread, too! Take the cinnamon out just once and ty it! Totally different demention of flavor, more subtle but richer than cinnamon, imo!